St. Martin's Griffin, 9781250067777, 400pp. 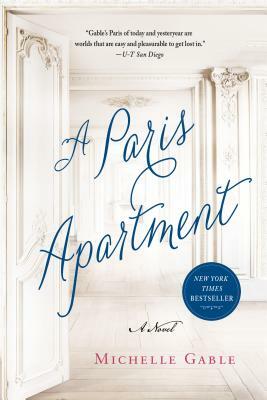 Based on the fascinating true story of a treasure-stocked Parisian apartment opened for the first time in seventy years. April Vogt, Sotheby's continental furniture specialist, is speechless when a Paris apartment shuttered for seventy years is discovered in the ninth arrondissement. Beneath the cobwebs and stale perfumed air is a goldmine, and not because of the actual gold (or painted ostrich eggs or mounted rhinoceros horns or bronze bathtub). First, there's a portrait by one of the masters of the Belle Epoque, Giovanni Boldini. And then there are letters and journals written by the very woman in the painting, Marthe de Florian. These documents reveal that she was more than a renowned courtesan with enviable decolletage. Suddenly April's quest is no longer about the bureaux plats and Louis-style armchairs that will fetch millions at auction. It's about discovering the story behind this charismatic woman.